Lava Brown Granite, Lava Brown Granite Exporters, Lava Brown Granite Suppliers, Lava Brown Granite Slabs, Lava Brown Granite Tiles, Lava Brown Granite India, Lava Brown Granite Price, Lava Brown Granite factory, Lava Brown Granite Factories India, Lava Brown Granite Manufacturers, Lava Brown Granite Mines, Lava Brown Granite Blacks, Lava Brown Granite wholesaler, Indian Lava Brown Granite Supplier, India Lava Brown Granite Supplier, India Lava Brown Granite Exporter, indian Lava Brown Granite Exporters, Lava Brown Granite Banglore, Lava Brown Granite Madurai, Lava Brown Granite Chennai, Cheap Lava Brown Granite India, Lava Brown Granit, Lava Brown Grani, Lava Brown Exporter Rajasthan, Lava Brown Udaipur, Lava Brown Nakoda Marbles, Nakoda Granites, India. We are indian exporters of Lava brown Granite Tiles, Lava Brown Granite Slabs, Lava Brown Granite Blocks, Lava Brown granite cobbles and Pebbles. We also produce Kitchen top of lava brown granite, Vanity top in Indian LAVA BROWN COLOUR GRANITE. Steps and Risers, Basins and other interior products are also custom made in brown granite. We also supply Graveyard stone and mosaic tiles made of Lava Brown Indian Granites. Shree Nakoda Marbles is a reputed suppliers of Lava Brown granite tile. We are Lava Brown Granite Exporters from India. Lava brown granite dealers from Russia, Germany, France, Italy, Spain, Sweeden, UK, USA, Nederland, Turkey, Poland, Albania, Romania and many other europian countries buy lava brown granite slabs, tiles and other lava brown granite products from us. Below are size details for export of lava brown granite. Lava Brown granite Slabs are available in various size and thickness. we export two grades of lava brown granite slabs, they are Best Quality lava brown granite, and commercial grade. We process absolute black granite and manufacture polished lava brown granit slabs, Honed slabs and various other finish of this marvellous Indian brown granit. 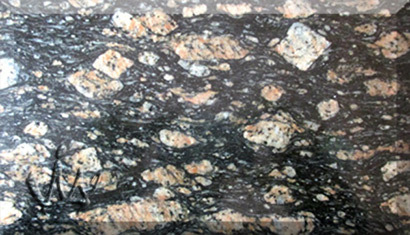 The black galaxy granite slabs are one of the most demanded product of Indian Granite industry. We process both, the BIG SIZE blocks as well small size blocks. The large size slabs are little more expensive, but widely demanded by granite dealers and architect from Europe. We are manufacturer of lava brown granite tiles, also known as brazilian brown granite tiles or Brown suede Granite Tiles. These tiles are made in various thickness ranging from 12 mm to 50 mm and customised. The most demaded product is 18 and 20 mm thick polished lava brown granite tiles. Most of our company revenue is generated by sales and supply of lava brown granite products. In years, with our best product and timely delivey, we have established ourselve as othe of the most promissing lava brown granite suppliers from India. No matter, what size, thickness or finish of material you need...we can process it for you. We determine Lava Brown granite price, based on two factors; first - size and thickness of product and second - quantity required. Please fill in the online enquiry form, so that we can quote the best price of our lava brown granite. Being one of the major exporter of lava brown granites from India...we are committed to provide best product at resonable price. Be assured, we always charge wholesale price...but still large orders attract some additional discounts. 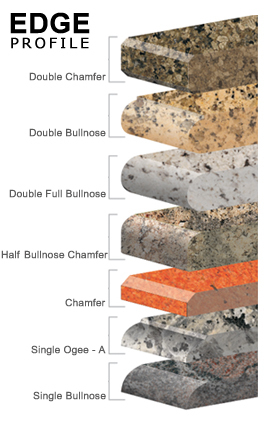 Although India is known for various colours of granites, the most demaded are brown granites from India. Lava brown granite has the largest sales share among all brown granites. Infact, it is also one of the major source of our revenue. Looking for Lava Brown granite from India, just send us a mail and be relaxed. We have all necessary infrastructure to make lava brown granite products as per your requirement. We, Shree Nakoda Marbles, are producer of lava brown granite slabs, tiles, polished lava brown granite floorings. The Indian lava brown granite is mined from Rajasthan granite area. our specialisation in chamfered lava brown granite kitchen tops tiles makes us a better choice as supplier of lava brown granites for projects. we are exporter of lava brown indian granite to usa, uk, europe, australia and middle east. If you have any querry for lava brown granite floorings, lava brown granite slabs tiles blocks, lava brown granite uses, just send us an Enquiry for Lava Brown Granite India.